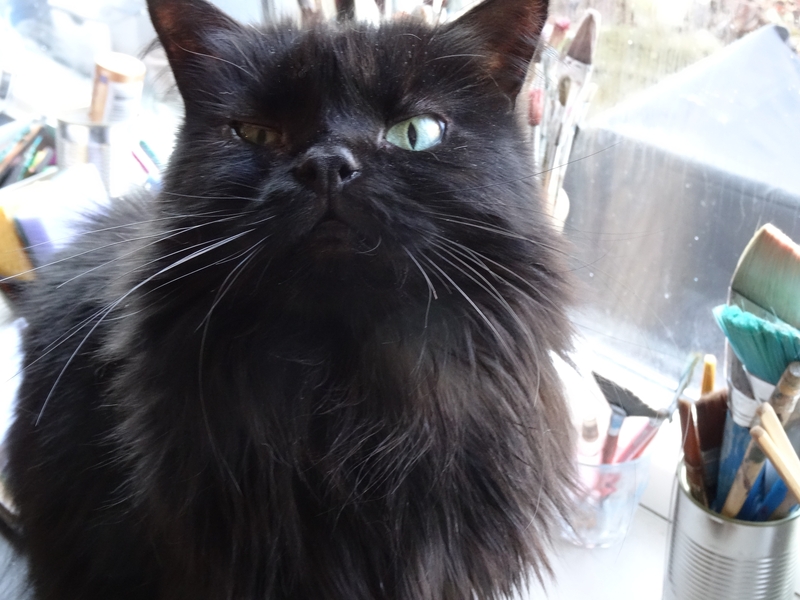 Now I don’t know about you, but when I get out my planning gear and settle into my little corner, I feel the best thing is when one of our cats comes and joins me in the planning fun. This morning and right in time for the Weekly photo challenge in the Lady Falcon Traveler’s Notebook group, our little godess of youth, Idunn, joined me for the fun. 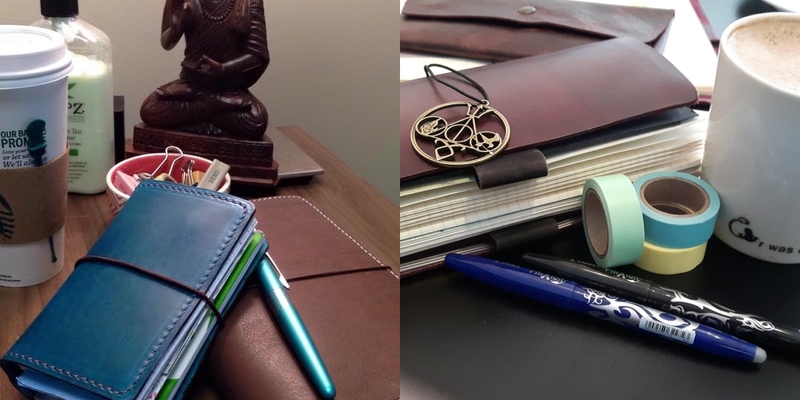 Every Morning I take a little time out after I do my morning tasks, sit down with a cup of coffee and plan out my day. This morning Idunn decided she would join me. Idunn is our second youngest cat and is a rescue kitten, with quite a few hang-ups. 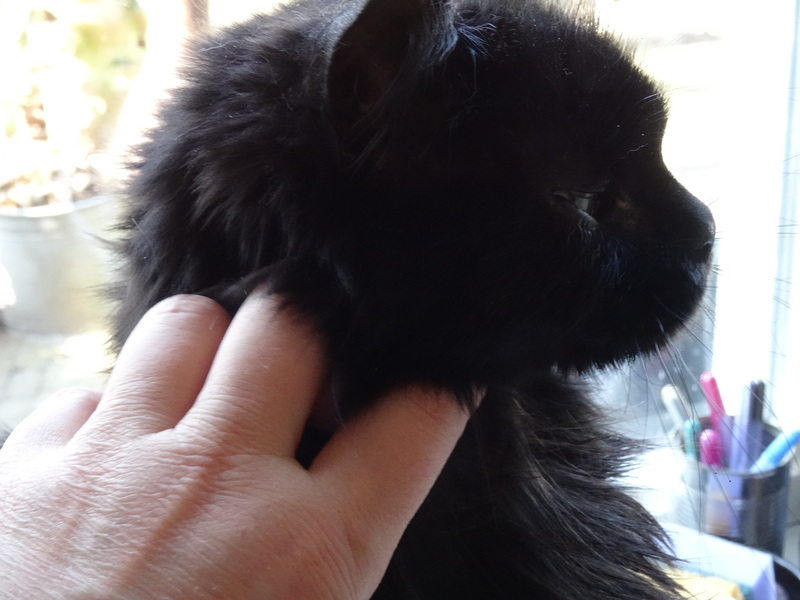 She was found when she was 3 weeks old, thrown away in a hedge and left there to die with her brother and sister. They were saved by the police and an awesome cat-shelter and has been with us ever since. 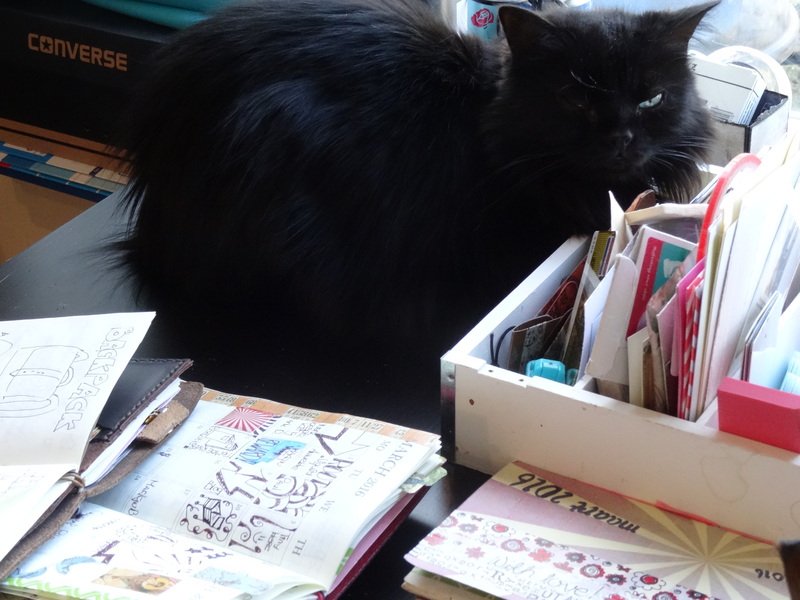 She likes her little spot near the box with a few planner and art journaling supplies. Which, judging by the photo’s, really needs a serious clean-out! Although my little princess doesn’t seem to care too much. 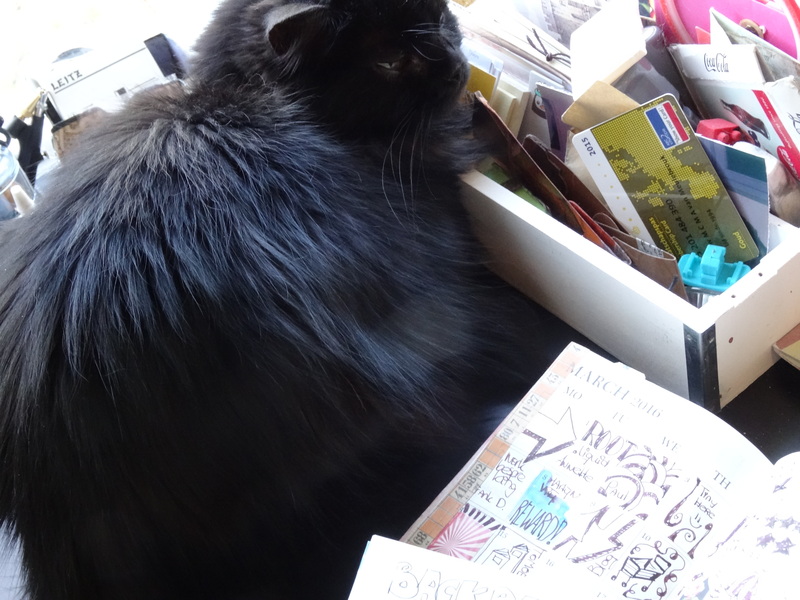 I think she even prefers it a little messy, because that means there are bits and bobs and pretty papers to lie on. I’m pretty sure my cats are no different then others, but as soon as I have some paper lying anywhere, they will come flocking and try and get a spot on top of the paper. Good thing my office is off limits to the cats, because with 4 cats, that would drive me crazy. Just like they are not allowed in the bed rooms, because truth be told….I’m terribly allergic to cats. If they were allowed in the bed room, I would not be able close an eye and would have to sit up straight all night trying to breath. Still I love my babies and could never part with them. 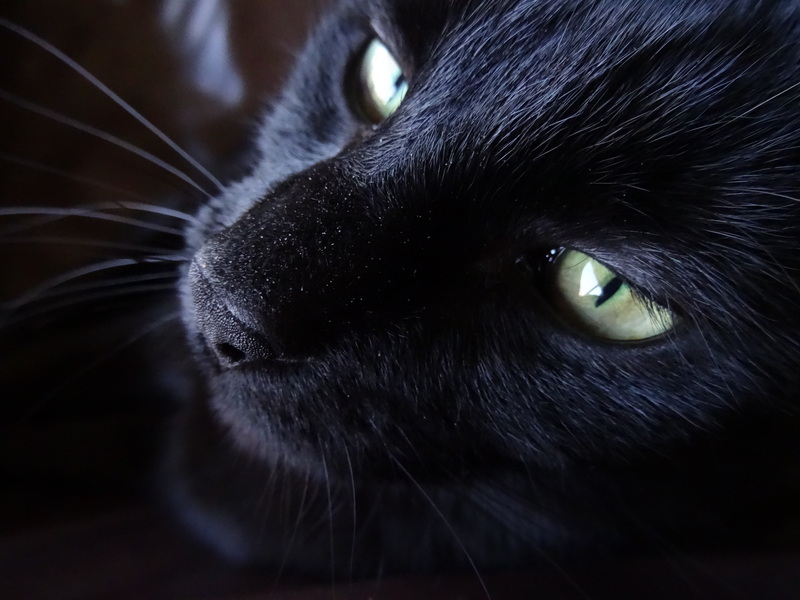 I also managed a quick shot of our panther-like youngest cat. Isn’t he gorgeous. Meet Fenrir, the wolf. When he was a baby he had a grey-ish fur and he reminded us of a wolf. 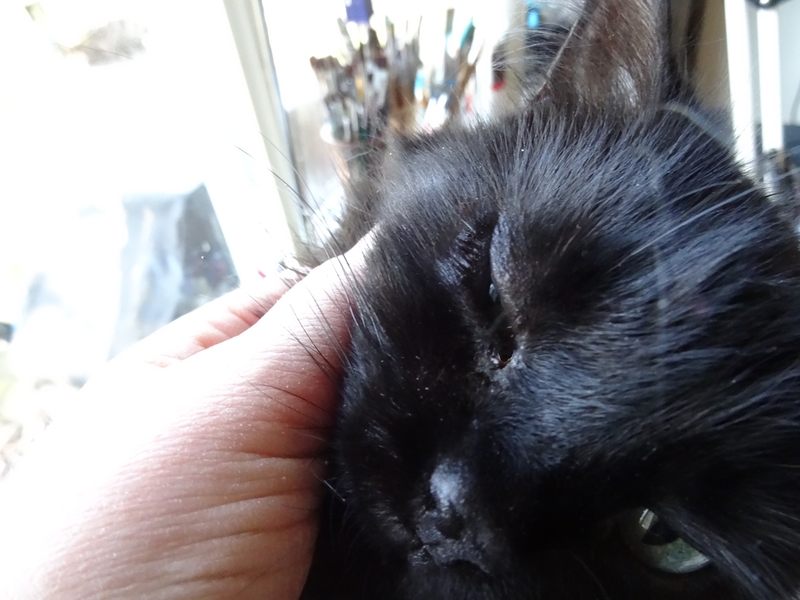 Our 2 oldest cats, Loki and Freya, are out on the prowl, so I’m afraid I couldn’t shoot any pics of them today. Yes they all have Norse gods names. After having a Merlin when I was a student, joined by a Pixie later on and a Ticus even later still, we decided all our cats should have Norse gods names, like the dog my parents used to have when I was a kid. Speaking of prizes, the winner for the 1500 member giveaway has been selected by rafflecopter and announced. The notebook is on it’s way to her as we speak, hope it reaches you soon Tara. Just a quick reminder of the challenge prompts. 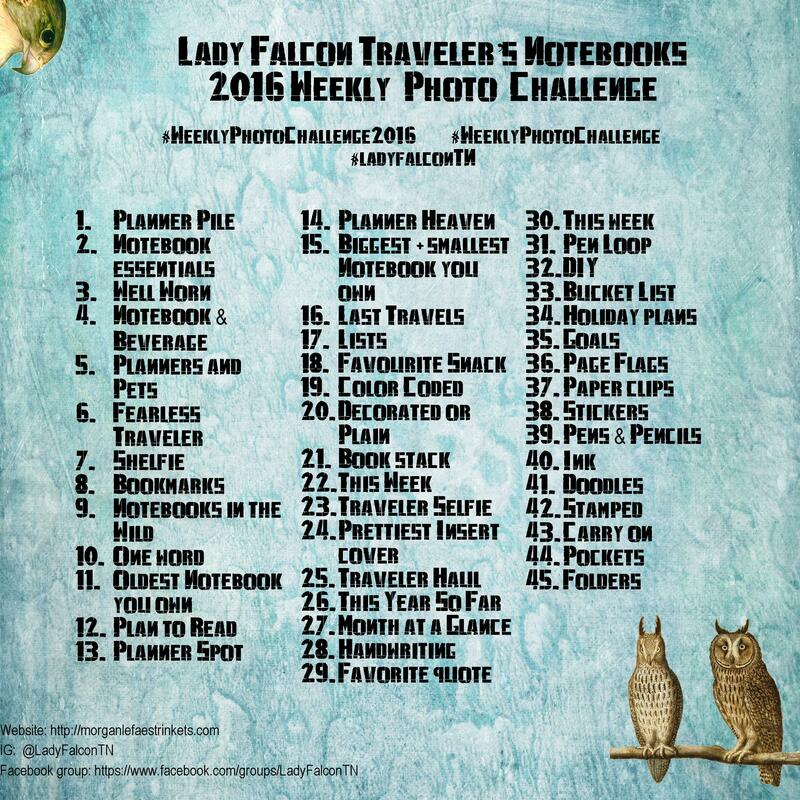 Join us if you like in the Lady Falcon Traveler’s Notebook Group for a chance to win or just to see some awesome pictures. Post your photo and tag it with this weeks tag, #weeklyphotochallenge2016nr5, Planners and Pets.